Award recipients at the third annual Civic Engagement Celebration: Jade Surface (left) and Zoe McGrath, representing the student chapter of Habitat for Humanity; Beverly Beyer, senior associate director of the Stevenson Center; Mary Ann Pullin, executive director of Home Sweet Home Ministries; Missy Nergard, director of the Office of Sustainability; Kaitlyn Remian, Alternative Spring Break coordinator; and Lauren Lacy, director of development for the McLean County Museum of History. Students and groups engaged in helping the community were honored last spring at the third annual Civic Engagement Celebration. 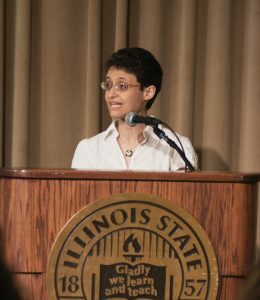 “I think it is important to recognize and celebrate civic engagement efforts and activities at ISU, especially since civic engagement is one of ISU’s core values,” said Noha Shawki, co-leader of the American Democracy Project and an associate professor in the Department of Politics and Government. New to the awards celebration this year was the Community Partner Award. It was given to organizations that foster student learning and engagement in outreach settings. “We received two outstanding nominations and could not eliminate one so we awarded two recipients in this category,” said John Davenport, dean of students. The award was presented to the McLean County Museum of History and Home Sweet Home Ministries. In 2017, 182 students volunteered a total of 1,163 hours at Home Sweet Home Ministries. 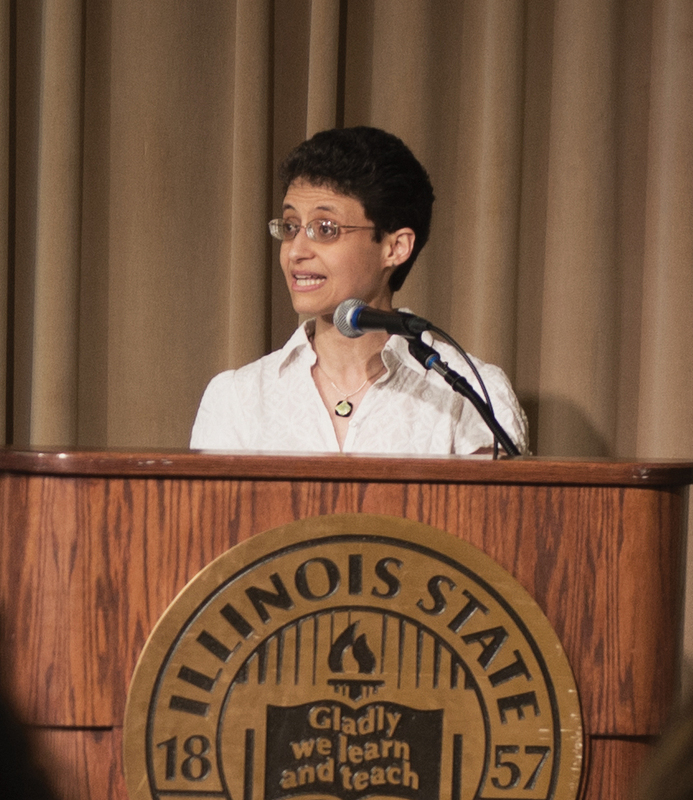 Currently, there are 23 Illinois State faculty and staff members who actively volunteer their time at the nonprofit. Last February, three Illinois State staff members raised awareness and funds in a project called “Redbirds Out and About All Night.” This group slept in cars overnight and raised over $1,275. The awards celebration was held May 1 in the Circus Room at the Bone Student Center and sponsored by the American Democracy Project. The project is a partnership of Academic Affairs and Students Affairs whose goal is to promote civic engagement of students so that they remain active citizens of the global community in the future. To nominate an individual or group, visit the American Democracy Project website, AmericanDemocracy.IllinoisState.edu/Initiatives/Grants. All nominations should be returned to AmericanDemocracy@IllinoisState.edu by March 20, 2019.